Bali is the best-known holiday destination in Indonesia by far, and has become synonymous with luxury, relaxation, and unwinding. 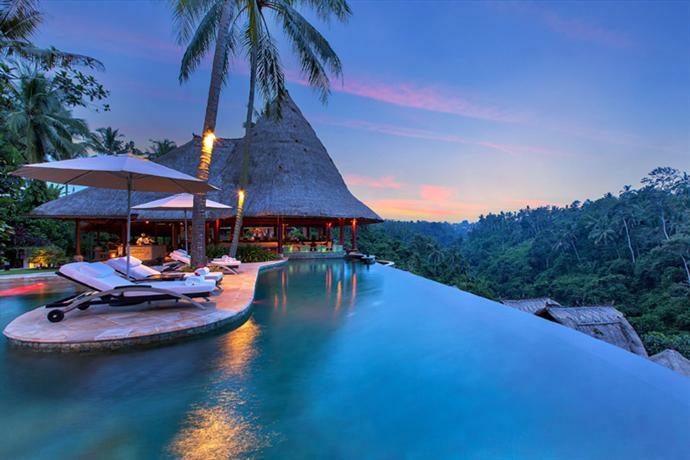 There are thousands of accommodation provides in all categories, although the most scenic and desirable beaches of Bali are dominated by luxury holiday resorts. Each of these surpasses the next in terms of amenities and service. Bali is a favorite honeymoon destination for international travelers, although there is more than enough to attract all tourist classes including families with young children, watersports enthusiasts and nature lovers. Bali has miles of while sand beaches, predominantly calm waters, limestone cliffs and lush green countryside sceneries with quaint little villages. 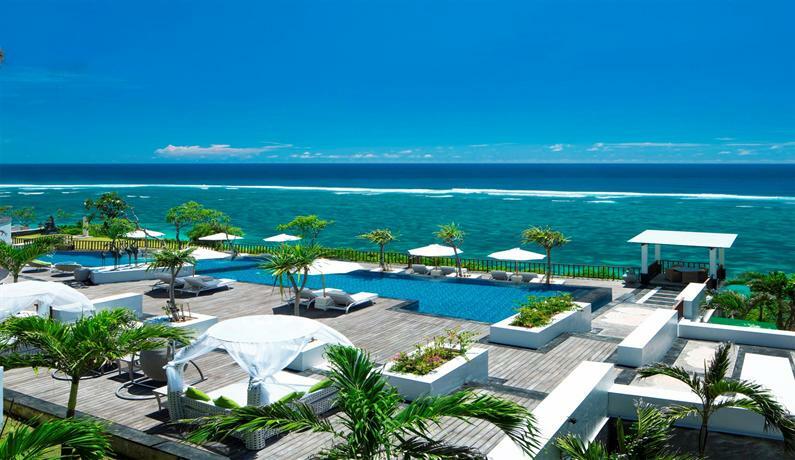 This property is named after the scenic Uluwatu region of the country where it is located. The area features limestone cliffs and beaches suitable for surfing. The resort is itself perched atop a cliff with unobstructed views of the Indian Ocean. Designed by a renowned Singaporean architect, the Alila Villas incorporates much greenery and blends into the natural environment of its surroundings. 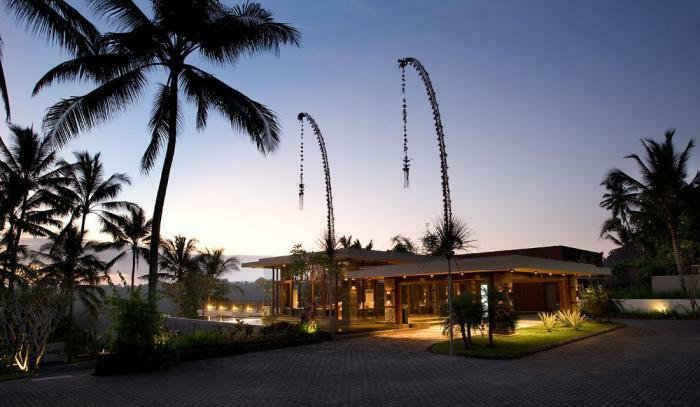 It is also listed among Bali’s highly ecologically conscious resorts. 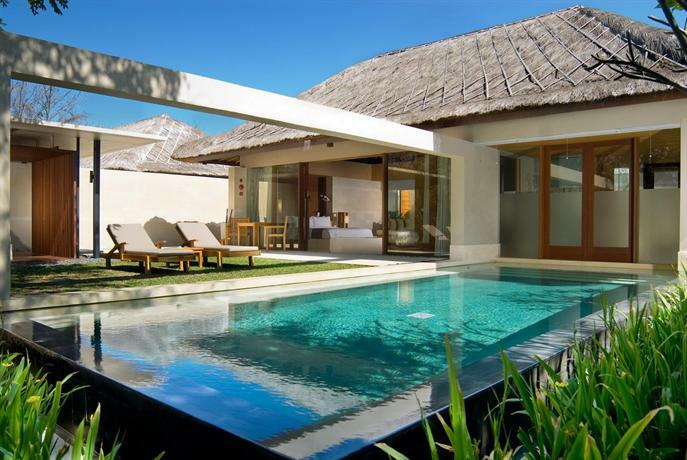 Accommodations consist of one, two and three-bedroom pool villas in this all-villa resort. All of the villa units provide expansive private spaces, and have been designed with an open plan to let natural light and breezes flood the interiors. Residents can enjoy being in the lap of opulence while feeling at one with nature. The consciousness about sustainability extends to the resort’s dining venues, which feature oft-changing menus and delicacies from their Indonesian and Balinese kitchens. Interested residents can take advantage of the daily complementary yoga classes and other regular activities. 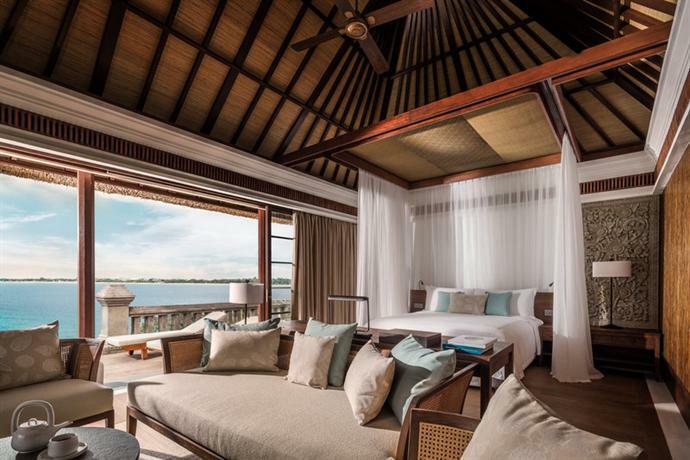 In addition to being one of the best rated resorts in the country’s best-known holiday destination, the Alila Villas has been the winner of several ecology and hospitality awards over the years. This luxury resort boasts a long list of accolades and awards. The Four Seasons Resort Bali was fashioned after a traditional Balinese village and commands 14 hectares of prime oceanfront estate with direct access to the beach. The architecture of its villas and public areas, as well as the interiors reflects the same theme. The resort attracts couples, wellness enthusiasts and aficionados of sea sports. 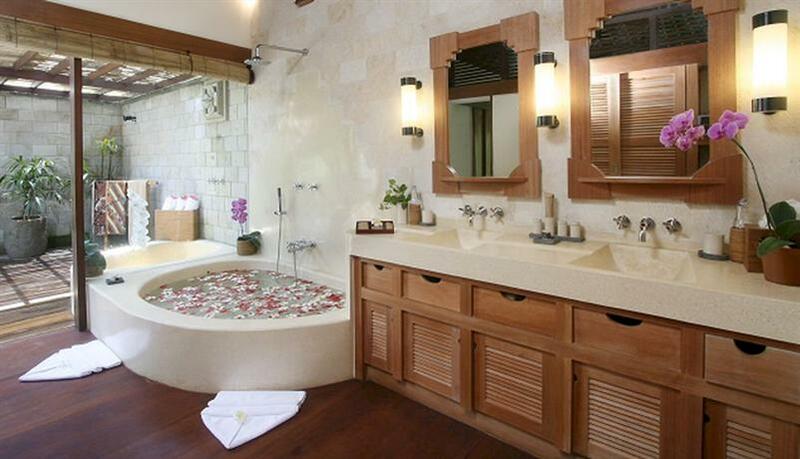 Each of the resort’s luxury villas is located amid terraced gardens, and has a private plunge pool. On-site restaurants offer a wide selection of dishes and an on-premises spa can provide holistic treatments. 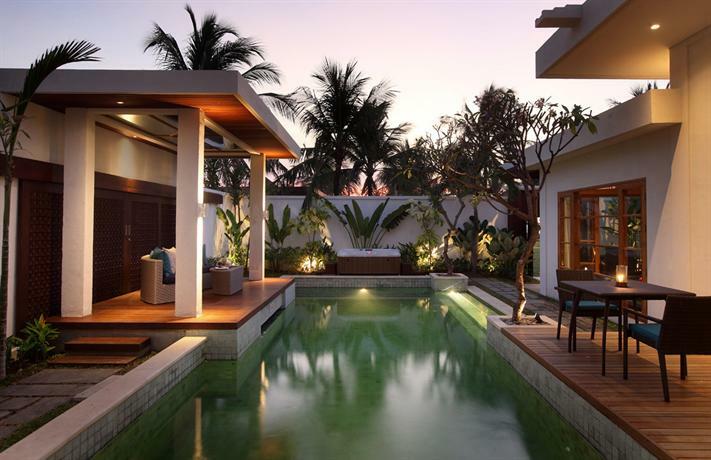 The Samaya Seminyak is a luxury spa resort with 52 full service villas. 23 of these have private pools while most of the others come with Balinese village-style courtyards. The largest accommodation unit is a three-bedroom courtyard villa with a full-size private swimming pool and an outdoor garden with a wooden gazebo. Golf carts are the prevailing mode of transport at this expansive property, which is also a pleasure to explore on foot. The resort takes full advantage of its prime beachfront location with a beach restaurant that offers open-air seating where cool breezes accompany fine cuisine. Exclusive beach pavilions can be setup for exclusive fine dining for two. Candlelit in-villa poolside private dining is the preferred option for couples. Restaurants at the Samaya offer a wide selection of cuisine. Menus are chosen for the freshness of ingredients with an emphasis on sourcing locally. The resort can also personalize menus and other arrangements for special events and groups. An on-site oceanfront spa specializes in Balinese and other Asian treatments designed for beauty and wellness. Guests can also opt to get massages and salon treatments in a pleasing tropical ambience. The resort is the proud winner of several hospitality awards. The St Regis commands a long stretch of prime beach on one of Indonesia’s most scenic coastlines made of white sands washed by the gently rolling ocean. The resort features a massive lagoon-style pool and immaculately landscaped estates filled with tropical gardens. 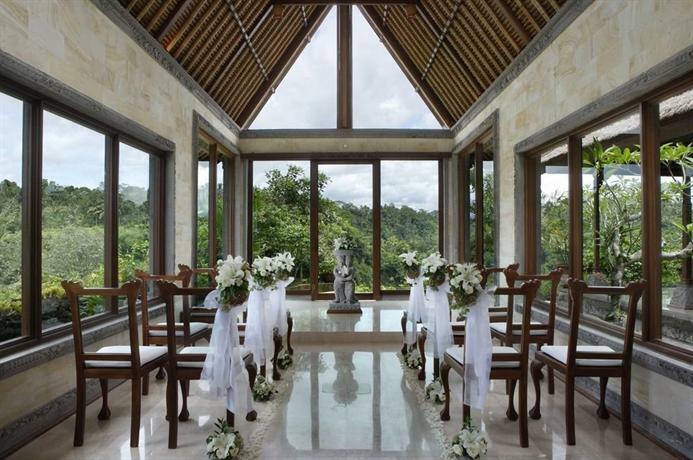 The property offers all the luxuries one would expect of a renowned Balinese 5-star and more. There are multiple accommodation categories including suites and villas with private gardens. The larger of these come with private pools and butlers’ quarters so that residents may want for nothing at any hour of the day or night. While regular hotels offer room service, Balinese resorts such as the St Regis organize private fine dining, which is to orchestrate the service of multi-course meals accompanied by wine at the villas. The resort has a popular beachfront restaurant and offers many choices of cuisine at its multiple dining outlets. 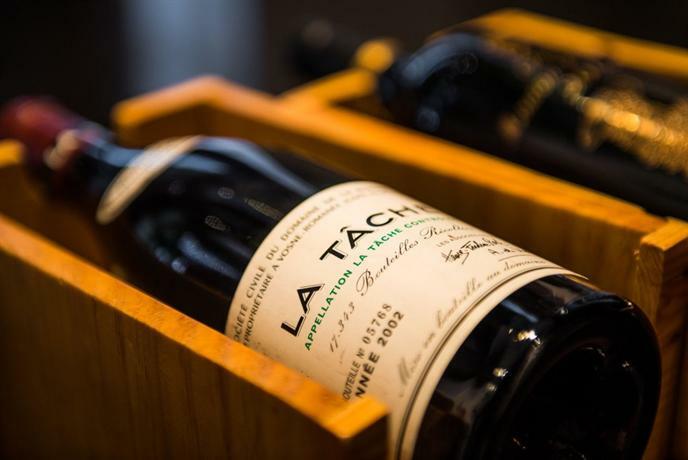 They also have their own wine cellar and humidor, both offering fine international selections. In addition the resort has conferencing and meeting venues with outdoor and indoor options. The region is understandably a popular vacation destination and has become home to a number of luxury resorts. Residents enjoy proximity to a golf club, an art village and a convention center. 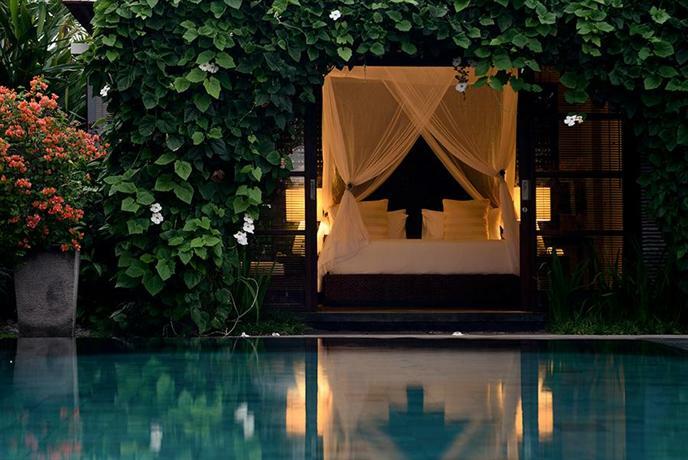 The Viceroy is a small luxury resort located in the Bali’s Ubud region, which was the historic home of Balinese royalty. The property has only 25 villas, maintained with all the care and attention of a privately owned resort. A popular getaway choice of international luxury travelers, the Viceroy has a bar, restaurant, spa, gym, boutique, conference room and a helipad, all set in lush green surroundings. Each of the villas has a private pool, most of which are heated. The open plan villas feature generous outdoor spaces and great views of nature all around. With a great location in Balis’s Jalan Kayu Aya region, the Legian is a unique luxury resort that finds itself in close proximity to the island’s most popular nightlife and shopping destinations. A strip of golden sand beach, coconut palms, sun and surf are the defining features of the property. Accommodations consist of a selection of 67 villas served by personal butlers and an assortment of dedicated professionals. The resort’s exclusive club wing offers 14 more units, which are pool villas with maximum privacy and luxury. Open-air dining venues serve Asian, French and fusion cuisine accompanied by vistas of the Indian Ocean. The property’s on-site spa and wellness center is a sanctuary with pleasing aesthetics. This exotic 7-star boutique hotel aims to be a destination unto itself. The Hanging Gardens of Bali is located on the edge of a valley in north Ubud, and overlooks the Ayung River winding its way in the distance. Guests can lounge under traditional thatched roofs and enjoy views of tropical forests and terraced mountains. The resort’s vast gardens include indigenous flora such as coffee, cocoa and bamboo. A two-tier cascade pool is a unique feature that has won the resort its share of architectural accolades. Many of the 44 opulent villas spread out across the sprawling estate come with their own infinity pools. This beautiful property is managed by the very experienced Singapore-based hospitality company Banyan Tree Hotels and Resorts. They also manage several spas, golf courses, and many other luxury resorts. Banyan Tree Ungasan Bali is placed on top of a low limestone plateau in the southern peninsula of the country. The property is located on the beach and located close to some of the local attractions in this prime tourist destination. Accommodations on offer include expansive villas, some with their own private pools or jet pools, and with enough privacy to get in-villa spa treatments during the stay. The sprawling estate of the resort is a destination unto itself, with slightly vistas in all directions and wooden paths leading to all of the property’s facilities. 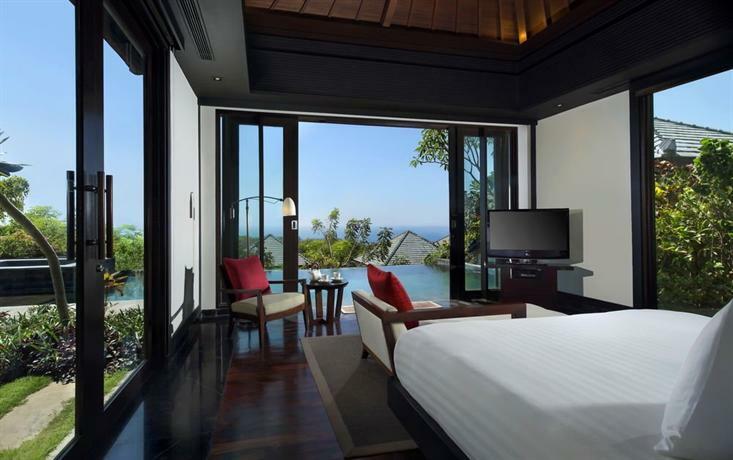 Banyan Tree Ungasan Bali is foremost a romantic resort that attracts couples. Resort concierge is adept at organizing itineraries to suit couples’ needs, which typically include light excursions, fine dining and spa treatments. The resort’s cliff-top restaurant is a venue that deserves a visit for its value as a vantage point and for its exclusivity. Other dining venues on-site offer a variety of cuisine and a selection of healthy drinks. Live entertainment is regularly organized for diners. In-villa barbecues can be arranged on request. Part of a collection of boutique hotels, the Amarterra Villas offers 39 accommodation units, each with a private pool. Furnished with touches of Balinese traditional art and equipped with all the luxuries of a modern 5-star luxury resort, all of the villas are designed to be suitable for couples looking for a private getaway. Open plan lounging and dining areas, versatile kitchens, luxurious bathrooms with whirlpool bathtubs, and outdoor showers are some of the villa features. The resort has its own spa that offers massages, skin treatments, foot rituals and several other wellness routines. They also have a beach club and a gym overlooking the pool. 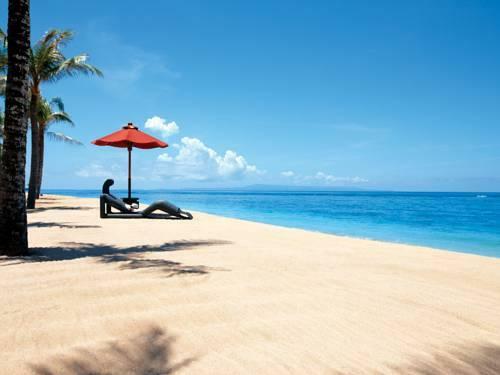 The Samabe enjoys a prime location on the beachfront of one of the better-known beaches in Bali. Despite the presence of several resorts on this coastline, their wide spacing offers ample seclusion to each one. The property offers 81 suites and villas, and accommodates guests in uncompromising luxury. The accommodations are furnished in accents of Balinese art and traditions. Oceanfront suites offer panoramic views of the Indian Ocean. Some of these boast private pools while others have spacious balconies. Two-bedroom private pool villas are among the most opulent living spaces that the resort has on offer. An all-inclusive resort, the Samabe offers ‘unlimited’ privileges for residents. These include a range of food and beverage offerings round the clock, as well as a long list of holiday activities for almost all ages and interests. The resort’s primary restaurant is known as much for its variety of cuisine as for the starry open-air evening ambience. Seafood, steaks and a large selection of herbal drinks are on the menus. The property hosts indoor, outdoor and beach weddings at on-site venues, which they tastefully decorate in floral ensembles for the occasions. Residents can also avail of a multitude of spa and wellness treatments during their stay. Located among rice paddies on the undulating Ubud hills of Bali, the Chedi Club is a luxury resort that also enjoys proximity to the Ubud artists’ village. One of the smaller and more exclusive properties, the Chedi Club was conceptualized by an Indonesian collector of art. 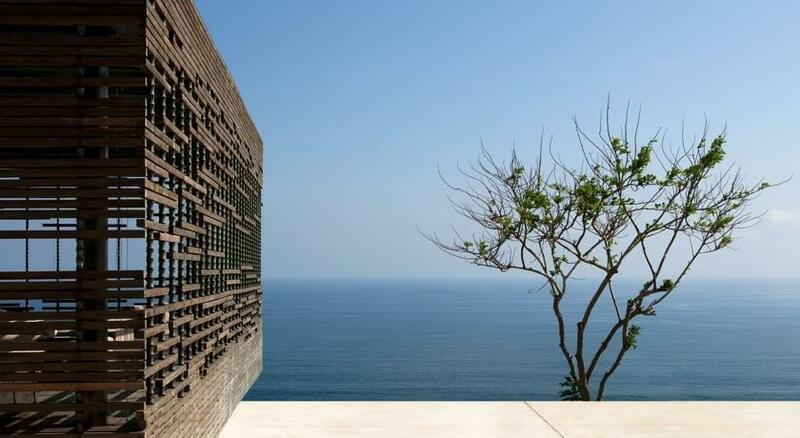 The collector tastefully transformed his personal estate into a welcoming resort with just 20 accommodation units. Each of the 20 villas is an independent unit furnished with works of Indonesian art. The five hectare large estate of the resort has landscaped gardens and water features that welcome and delight international visitors throughout the year. The property has restaurants, bar, room service, and a luxury spa among many other facilities. 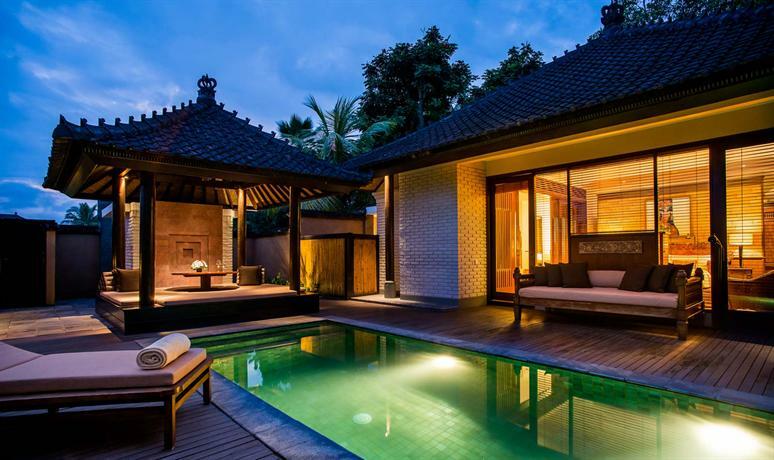 This luxury resort was designed to replicate and extend the superlative services and ambience of their highly acclaimed first property, the Samaya Seminyak, in Bali’s Ubud region. The Samaya Ubud features pleasing villas placed along the river in the picturesque Ayung valley, with a backdrop of terraced rice paddies among the Ubud hills. It is a relaxing setting and the resort aims to enhance the soothing effect of the surroundings with its various offerings. Not least of these is a selection of eclectic dishes served at their riverfront restaurant. Each of the resort’s villas measures a spacious 392 sqm, and comes with its own tropical garden as well as lap pool with consummate privacy. 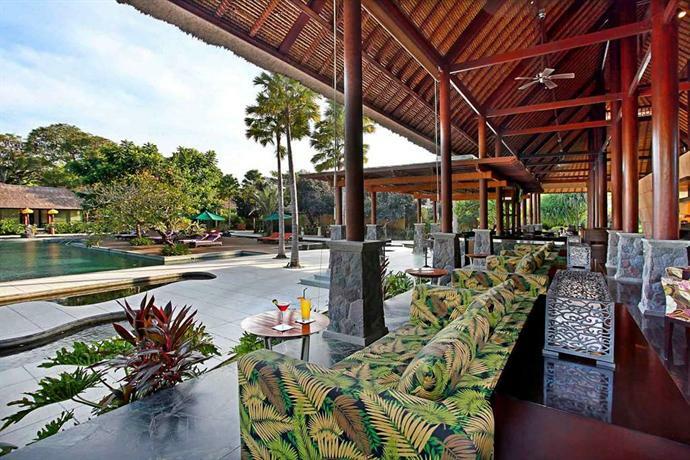 The Bale Resort is located in Bali’s scenic Nusa Dua region. It has 29 tastefully furnished accommodation units, each with its own private pool and modern interiors. The entire property exudes a boutique ambience. They have a ‘no children’ policy to make sure that this secluded retreat remains as relaxing as it is serene. 24-hour butlers, wellness treatments and a holistic relaxation of the body and spirit is what the resort seeks to provide to couples and small groups. The property has a small library with a selection of books, magazines, DVDs and board games. Their beach club offers direct access to a beach of white sand and the warm azure waters beyond. This is a charming luxury resort that offers private villas in a tropical setting filled with coastal gardens and lotus ponds. The resort’s villas are tastefully furnished with all the modern amenities and conveniences. Private pools, sun decks with cushioned lounge chairs, marble bathrooms with sunken tubs, and living areas with gourmet kitchens are some of the features of the villas at the Peppers Seminyak. The resort’s primary restaurant offers fine dining and a selection of international cuisines including Asian and Italian fare. The restaurant also serves breakfast and overlooks the property’s 35-metre rock pool. Peppers Seminyak also offers modern conference and meeting venues. Set in the midst of tropical greenery, this less explored luxury resort offers a unique blend of relaxation and oneness with nature. Placed on the banks of the Ayung River, the property is highly mindful of its ecological footprint. The accommodation is in the form of luxurious villas, which are located on hillsides and offer great views of the surrounding greenery. Furnished in accents motivated by Bali’s cultural history, the villas are rustic and modern at the same time. Visitors can opt to book accommodations with a private pool or a Jacuzzi.